Think you know the Convict 100? Did you do the event a few years ago and think, been there, done that, no need to go back? If so then you have no idea what you are missing out on! With the changes that were implemented in 2015 the course now rides completing differently. The infamous ‘Blue Hill’ that really put the hurt on your legs early is now a fast & rough downhill blast. The rock gardens along the Old North Rd originally carved by convicts many years ago look fresh and new when tackled from the opposite direction. Luckily the kayak bridge is still there, waiting to catch out the unwary but revamped to make access easier so everyone can stay on the bike…hopefully. The 68km course is also back in 2017 having replaced the old 50km course. Why 68km? Well that’s easy, we wanted to include all the best bits of the 100km for those that didn’t want the extra couple of hours on the bike but still wanted to tackle all the good stuff. The 68km is far from an easy ride but the perfect distance for those weekend warriors wanting to challenge themselves and get off the fire trails and onto the single tracks. The 44km course is the real successor to the 50km course featuring some flowing fire trails for riders new to mountain biking or the casual rider. There is a bit of a climb near the start but that is the price you pay for a predominantly downhill course that will keep you smiling as you check out the scenic St Albans valley. So if you haven’t been to the Convict 100 in a few years now is the time to return to St Albans. The front bar of the St Albans Inn will be waiting for you on the Friday night. Waiting for those riders that have been there before, to spread some fear (and perhaps a little advice), to the new batch of riders lining up for the first time. 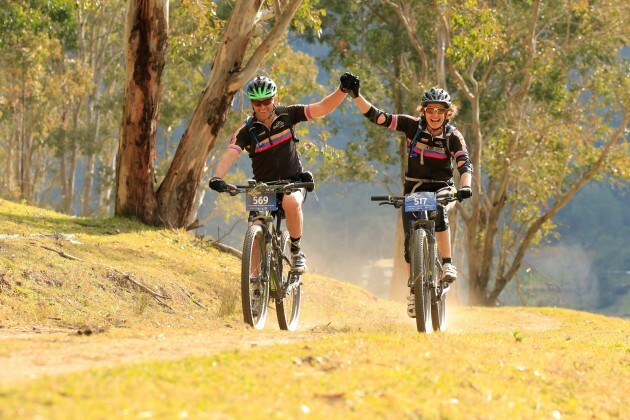 Event day is fast approaching so now is the time to sign up and prepare to experience the iconic mountain bike experience that is the Convict 100 all over again.